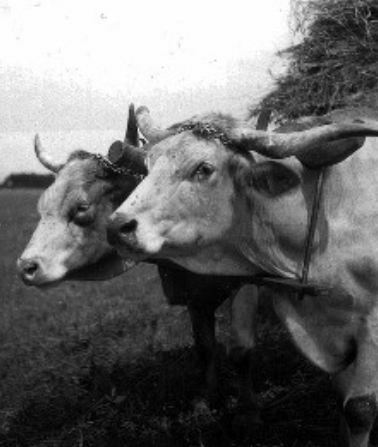 The Wanton Calf: — A Fable. A Calf, full of Wantonness and Play, seeing an Ox at the Plow, could not forbear insulting him. “What a sorry, poor Drudge are you,” said he, “to bear that heavy Yoke and go turning up the Ground for a Master! See what a happy life I lead,” he added, when at evening the Ox, unyoked, and going to take his rest, saw him, hung with Garlands, being led away by the Flaman, a venerable man, with a fondness for Veal Pot-Pie. Moral. — This Fable teaches us that Young People had better stick to the Farm, and not study for a Learned Profession unless they are fully aware of what it means. Possible definition for FLAMAN (answers.com): A priest, especially of an ancient Roman deity. Chosen from the patrician class and supervised by the pontifex maximus (chief priest), they offered daily sacrifices and led strictly regulated lives. The photos here record an interesting chapter in the history of the Sequoia National Park, when Charles F. Kellar, 90, of Santa Cruz, was an organizer of the Kaweah Colony in 1886. The group built the first road connecting the valley with the grove of big trees. 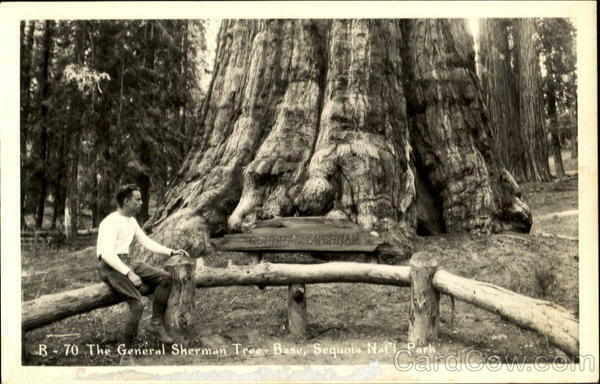 Kellar was the original owner of what is now known as the General Sherman tree and first named it the Carl Marx Tree. He is visiting the park this week. The pictures show: No. 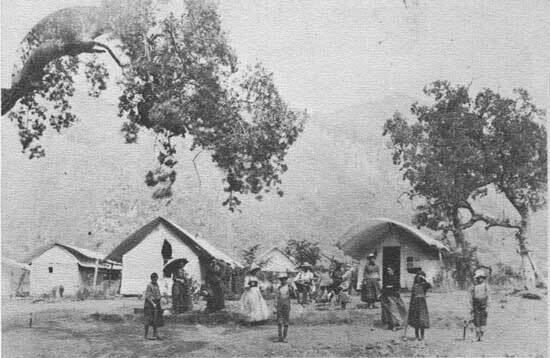 1 — Camp Advance in 1889, at that time the colony town site north of Ash Mountain on the North Fork of the Kaweah River. No. 2 — Miss Kate Redstone in 1890 standing on a suspension bridge over the Kaweah just below the junction of the North Fork and the main stream. The bridge was built by Ralph Hopping, grandfather of Guy Hopping, superintendent of the General Grant National Park. Miss Redstone later became Mrs. Ralph Hopping. No. 3 — Type of paper money used in the Kaweah Colony. No. 4 — Kaweah colonist building road to Giant Forest in 1886. No. 5 — Charles F. Kellar. No. 6 — shows what happened when the donkey engine fell through the bridge. The soldier is Charles F. Kellar of Santa Cruz. He once owned the Sherman Tree in every sense that so ageless a living thing can be owned by a mortal being. Organizer of the Kaweah Colony in 1886, he built the first road connecting the san Joaquin Valley with the grove of Sequoia Gigantes now included in the Sequois National Park. And, as leader of the colony of Socialists, he named the largest of the trees the Karl Marx Tree. The government later changed the name to General Sherman. Kellar is visiting in the park now, just fifty years after he and fifty-six other colonists started work on the road from a point seven miles above Three Rivers to the wilderness that now is a network of wide highways and graded trails. He is the guest of his granddaughter, Mrs. Daniel J. Tobin, wife of the assistant park superintendent. Back in 1885, Kellar, a newly arrived San Franciscan who had just finished four years of service in the civil war, was the head of a Socialist organization, the Land Purchase and Improvement Company. On a business trip to Visalia — a trip made mostly on foot — he overheard two United States surveyors talking about a recent survey of a vast timber region dotted with giant trees. 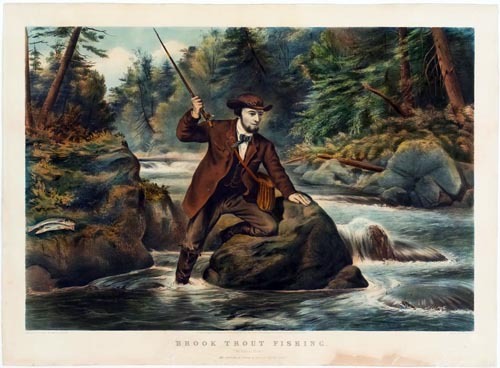 He soon had a copy of the survey and had obtained a guide, Newton Tharp, to take him to the timber country. Tharp was a son of Hale Tharp, the discoverer of Giant Forest, and knew the wilderness even though there were no trails. With packs on their backs, the two men traveled almost the same route now followed by the Generals Highway. They went up the middle fork of the Kaweah River to the base of Moro Rock, then wound around until they reached what is now known as Crescent Meadow. Headquarters was made at Hale Tharp’s “cabin,” a fallen Sequoia hollowed out by fire and commodious enough for a Summer home. Shortly, Kellar saw the really big trees. He saw the largest of all. And decided to own it and protect it. Returning to San Francisco, he organized the Kaweah Colony. Each man put up a $10 fee on the quarter section of land that was to be his, and $400 was paid for the land. There were forty of the colonists. Kellar recalls the trek to the promised land. The bay district Socialists came in a body and on foot, toting their worldly goods. Each had the hope of developing the land of the majestic trees and sharing in profits equally with his fellows. As the weary party came upon the Sequoias they were awe inspired. All resolved the primary purpose of the colony would be to protect the largest of the trees for posterity. Kellar’s land was towered over by the “Karl Marx Tree,” and around it spread the holdings of the other colonists. Having invested $4,000, the colony leader included in his properties a ?? ?-acre ranch, the old McIntosh place, on which the Kaweah Park office now stands. Upon completion of the job, the federal government brought suit against the Kaweah Colony charging fraudulent entry. When the case came up for trial in Los Angeles, Kellar says, the colonists presented their receipts for fees and payments and the matter, Kellar says, was thrown out of court. Nevertheless, there was difficulty due to the government’s opposition. The Sequoia National Park was formed by the federal authorities. The colonists became discouraged, disbanded and scattered. The road they had toiled so hard to build they used only as a way out of the wilderness. Kellar likes to reminisce about his youth. Born in Germany in 1846, he came to America with his parents at the age of 9 years, the family settling on a farm in Pennsylvania, near Lake Erie. When the war clouds began to gather between the North and South, Kellar, although not of age to become a soldier, enlisted three times, having run away from home to join the army. His father balled him out of the service twice. His third and last enlistment was one year prior to General Lee’s entrance into Gettysburg and he served throughout the war. Among the highlights of Kellar’s career as a soldier was his march with General Sherman to the sea. He cast his first vote for president Abraham Lincoln when a ballot box was brought to the field of battle. Congress had given special permission for all soldiers to vote regardless of their ages. After the war Kellar came to California via Panama by rail and water in the year 1886. Leaving Panama the ship stopped at San Pedro, the only other coast city having a wharf, besides San Francisco. Here as far as the eye could see were fields of wild geese which looked somewhat like a mirage. Los Angeles then had a population of 5,000, and land was selling for $10 an acre. Seventh and Hill Streets was considered an outpost. San Francisco was a series of sand dunes, a wharf, board walks, a few boarding houses and saloons. Beer was 25 cents per glass. No grass was growing in the city, but some one had imported Bermuda grass and dried one crop as hay in the region now known as Golden Gate Park. The wind soon sifted the dry grass around in the sand dunes and with the aid of moisture from the sea, there was a luxurious growth. Kellar asserts an ounce of gold worth $15 constituted a day’s wage in the late sixties. There was a great scarcity of labor. “We carried our gold in buckskin bags in our pockets, he recalls. 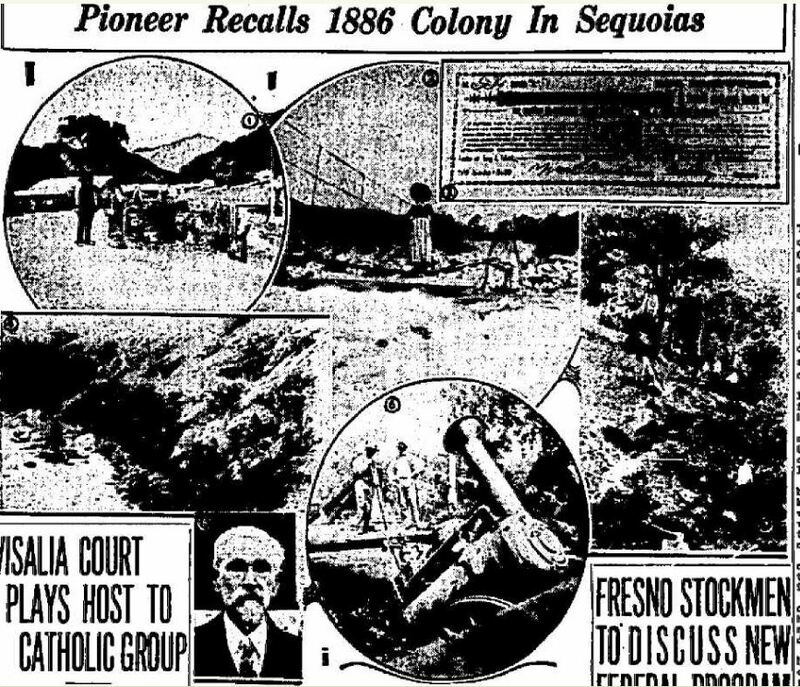 Between 1884 and 1891, the area along the North Fork of the Kaweah River just upstream from the Terminus Reservoir site was the scene of an interesting experiment in utopian socialism that is still the subject of serious study by students of economics and political science. This was the Kaweah Cooperative Commonwealth, generally referred to as the Kaweah Colony. It was based upon the theories of Laurence Gronlund, an American socialist originally from Denmark, whose book “The Cooperative Commonwealth,” was the first adequate exposition of German socialism. In general, Gronlund envisioned an ideal cooperative colony in which working members would own and control production and profit accordingly. Burnette G. Haskell, John Hooper Redstone, and James John Martin, all of whom had been active in labor organizations in San Francisco, were impressed with Gronlund’s theories and decided to form such a colony with timberlands as a source of raw materials for a manufacturing business. After a search of the entire Pacific Coast and parts of Mexico, the leaders of the proposed colony selected the Government timberlands between the Middle, Marble, and North Forks of Kaweah River. Fifty-three timber claims totaling about 12,000 acres were filed. Because several of the applicants gave the same San Francisco address and some were aliens, and because of the large number of claims, the Federal Land Commissioner in Visalia withdrew the lands filed upon from entry on suspicion of fraud. The colonists, however, were convinced their claims would be validated by the courts and proceeded with the venture. *More at the link, although I didn’t see any mention of Charles Kellar. And more at The History of Kaweah Colony. No mention of Kellar here either. Maybe he embellished his role a bit in starting the colony. “I go a-fishing.” — JOHN xxi, 3. Farewell to cares and sadness! What health and rest and gladness! And sleep in stormy weather.